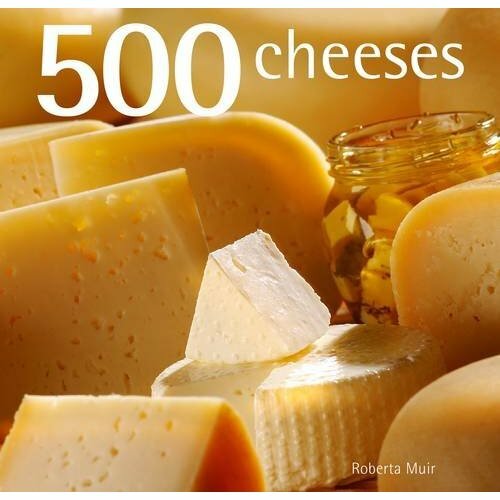 This is the book cover for Roberta Muir’s new book, to be published by Apple Press in October, called 500 Cheeses. It is also available now in pre-order format on Amazon. 500 Cheeses describes the world’s most commonly known cheeses, including those recognized under appellation systems, as well as some of the more unusual ones, such as Nepalese yak’s milk cheese and Filipino kesong puti. From simple cottage cheeses once produced in every home, through artisanal cheeses undergoing a renaissance in the USA, UK, Ireland, Australia, New Zealand and South Africa, to some of the world’s most loved mass-produced products, 500 Cheeses has it covered. Cheeses are grouped in chapters according to style: fresh, stretched curd, bloomy rind (white and mixed mould), washed rind, semi-soft, blue-vein, and semi-hard to hard, with chapter introductions detailing the history, production and uses of each cheese style. This is Roberta’s e-mail to me: Ribblesdale Original Sheep Cheese, is featured on page 190 & 191 (the Revived Traditional British Cheeses page). How about that!! We make the Original Sheep and this is the cheese that won a Gold star at the Great Taste Awards in London last year. Michellin starred Nigel Howarth takes this cheese as does Michellin recommended Andrew Dargue at Vanilla Black in London. There has to be something about it!